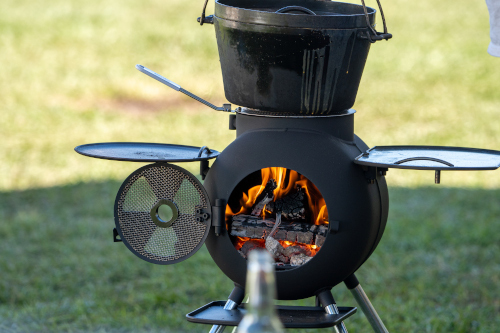 Dutch oven cooking over the open fire or barbecue is a great way to enjoy life in the outdoors. You can used these cast iron pans for anything from baking bread and puddings to casseroles and stews. As an Englishman I wasn't familiar with the term Dutch Oven. As I've researched more into the world of barbecue I started to read more about dutch oven cooking and my reaction was hey...that's just a cast iron casserole pan. And in essence, that's exactly what it is. Of course it depends where in the world you come from, the word changes but the pot is still the pot. In the barbecue world it seems that dutch oven is the all encompassing term and my website is dedicated to barbecue so a dutch oven it is. it's a thick-walled cooking pot usually made of cast iron with a tight-fitting lid. That said there are some variations on the theme. 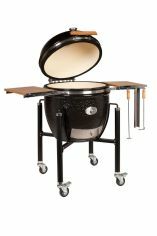 Whichever design choose to buy or already have, a whole new avenue of outdoor cooking opportunities awaits.